Help more people have access to THRIVE! 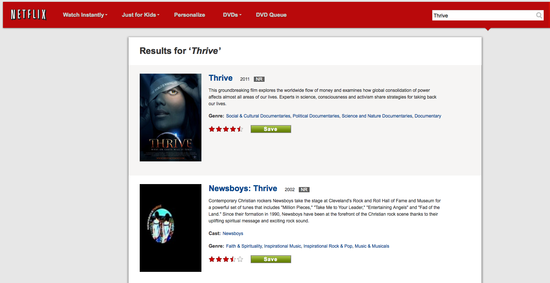 You can help us get THRIVE onto Netflix in four easy steps if you have a Netflix account with a DVD rental plan. That’s all we need you to do. The more people do this, the more incentive they have to include us.